Luxury is hiding in the desert. 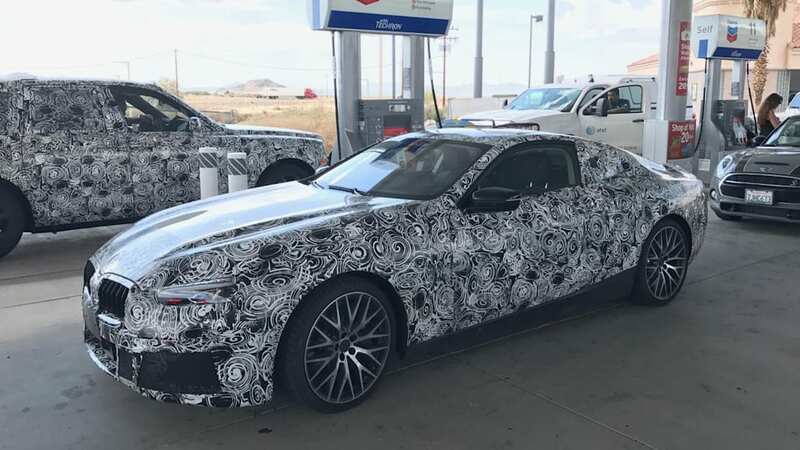 Recently, we've stumbled upon a number of manufacturer prototypes running around. Usually, spy photographers sit and wait for hours with cameras primed in order to get a few shots of a car. We just got lucky. 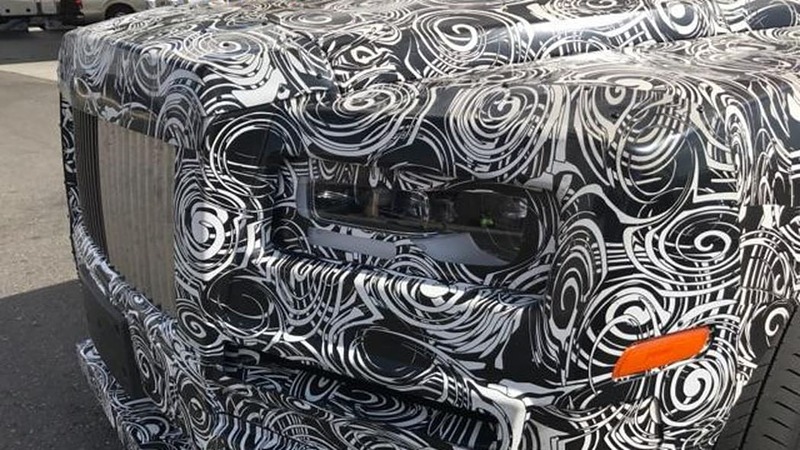 First, we caught the new Chevy Corvette ZR1 convertible during a Facebook Live video. A week or so later McGraw snapped a video of a ZR1 coupe cruising in his neck of the woods. 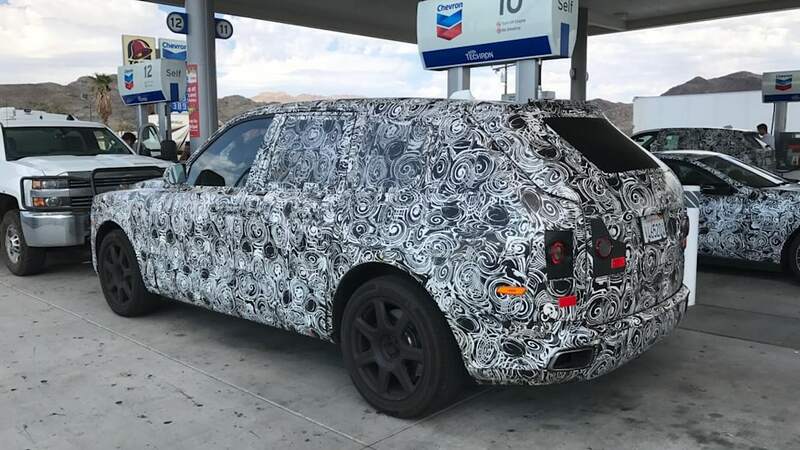 Today, our ace photographer Drew Phillips caught a BMW test fleet filling up the new Rolls-Royce Cullinan and 8 Series coupe in Baker, Calif.
Baker sits along Interstate 15, about halfway between Los Angeles and Las Vegas. It's just south of Death Valley, and, being late August, suggests that BMW was doing some hot weather testing. Drew was filling up his car when the fleet rolled in. 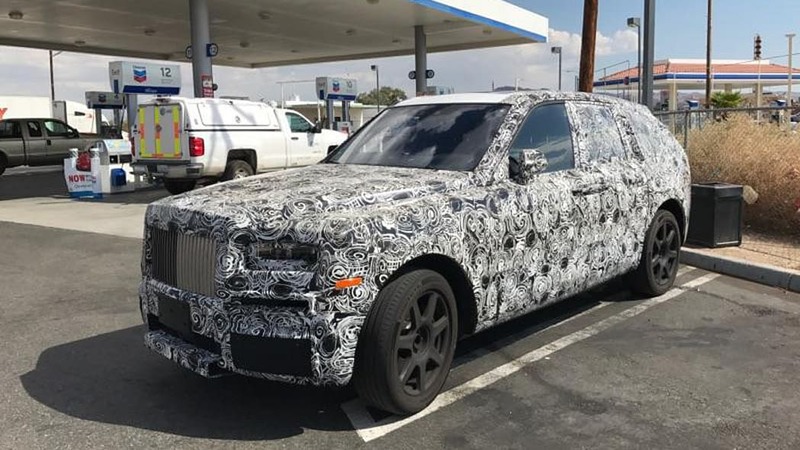 There were at least two of the new king Rolls and a single 8 Series. 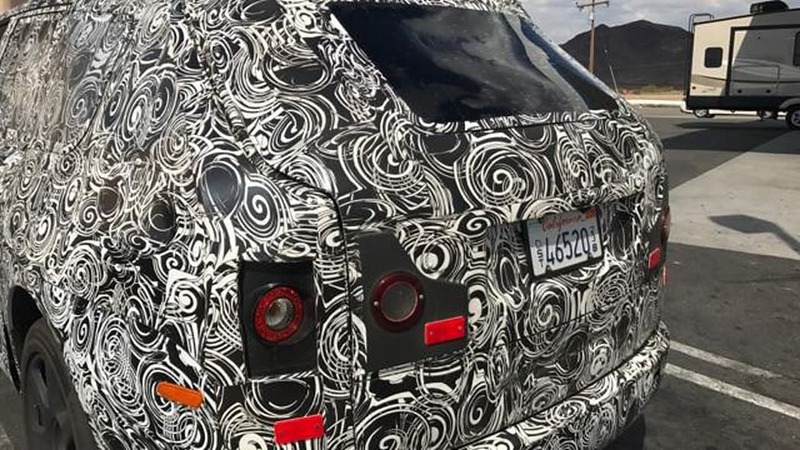 Both cars were wearing a full swirl camouflage wrap. It's not an uncommon place to see prototypes. Still, seeing a whole fleet roll in is quite a sight. 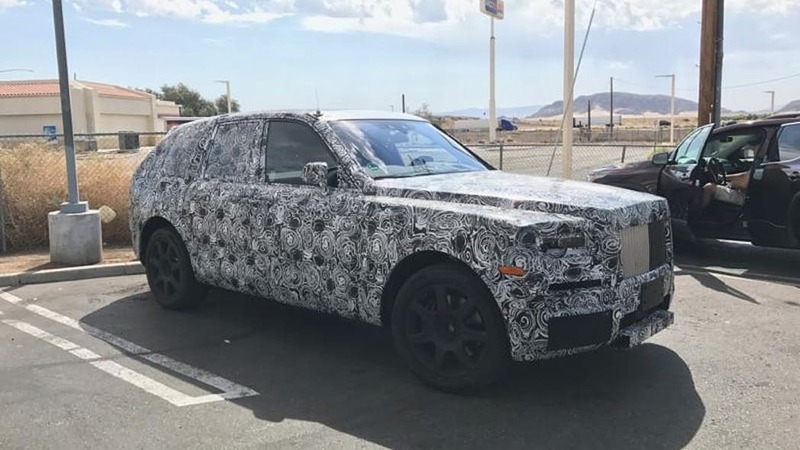 We've seen official photos of the Cullinan before, but these pictures give us our best view of the profile and rear we've had so far. 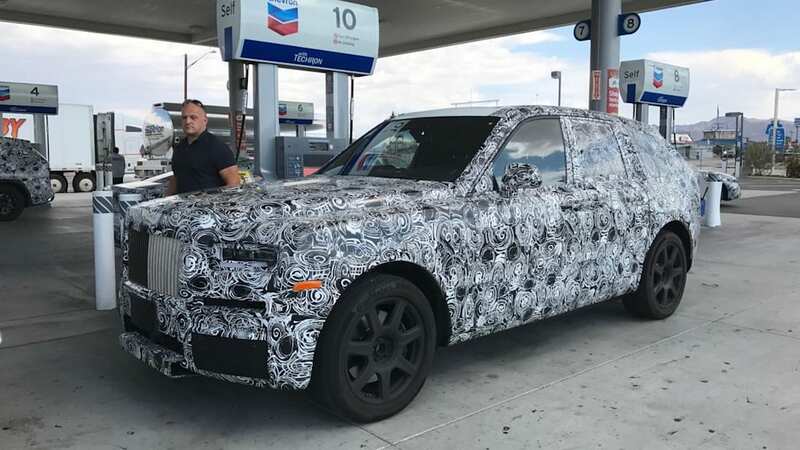 From a distance, it looks like a high-riding version of the new Phantom with a hatch in place of the trunk. The taillights are obviously just filler units. Expect the final version to look very much like the squared off LED units on the Phantom. Likewise the interior and engine should be straight from the Phantom. 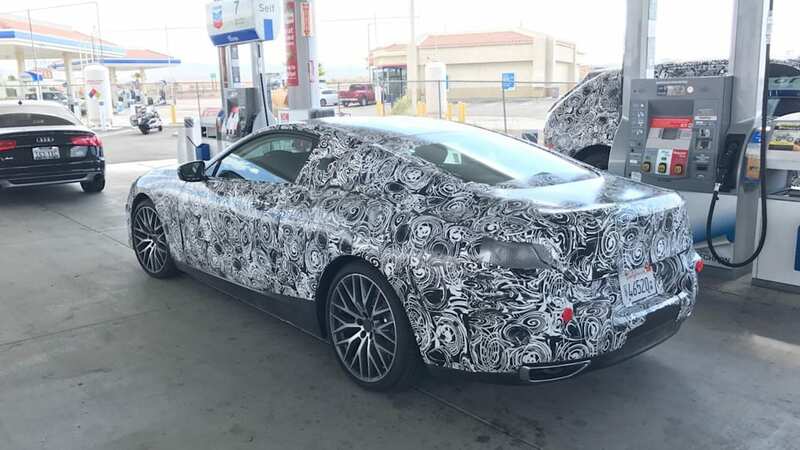 That means a twin-turbocharged V12, though power is likely to be sent to all four wheels. 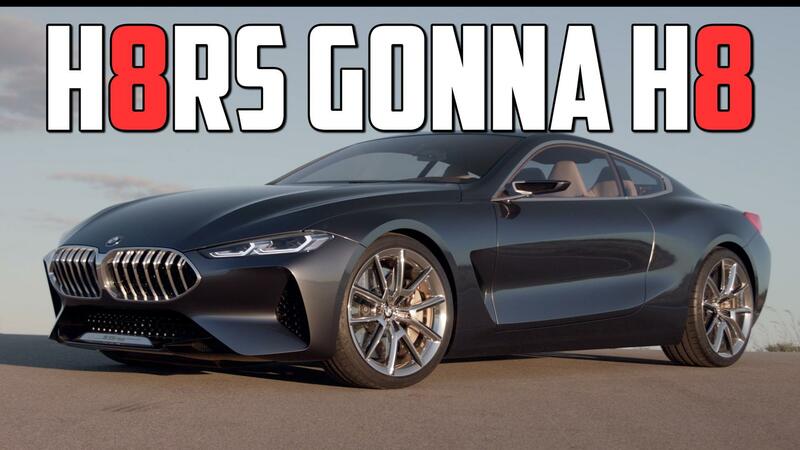 We've seen the full BMW 8 Series concept a few times now. The proportions on the production car look the same, with a long hood and even longer wheelbase. The nose isn't quite as aggressive as the concept, but we expected the styling to be toned down to meet crash and safety standards. As for engines, look for six, eight and (hopefully) 12-cylinder power under the hood. A plug-in variant is also expected. Both cars have been in development for a long while, so look for full debuts sometime this auto show season. Maybe we'll happen upon some more test mules between now and then.